This morning we headed out to the Northwest corner with beautiful seas and good visibility. 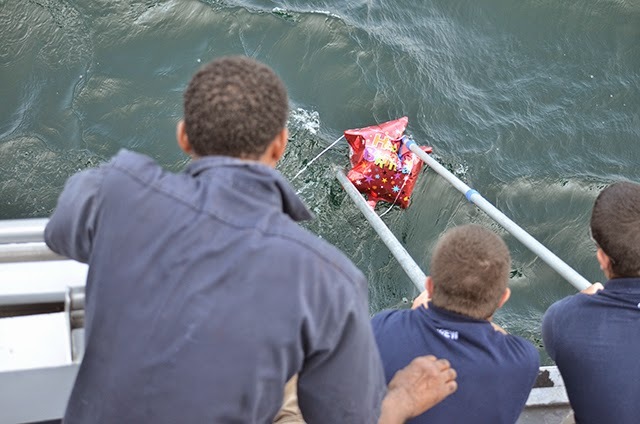 On our trip out we spotted a mylar balloon floating at the surface which the captain decided we could pick up. Balloons are one of the particularly dangerous types of pollution that ends up in the ocean because animals can easily eat them thinking they are their prey or consume them accidentally while feeding. With this done we continued on to the corner and started to sea blows. We came across a large group of adults taking long dives, maybe hunting for fish. This group included Pele, Eruption, Jabiru, Bayou and mothers, Milkweed, Canopy and Perseid. The calves stayed at the surface and we got some great tail breaches from one of the calves. We got some great looks at these animals which started to break up a little. At this point the really excitement of the trip started. We got spectacular multiple breached from Pele and another whale and then noticed two other whales continuously breaching. We moved up to investigate and found Perseid and her calf being very active. We got so many breaches and chin slaps from this pair that I managed to get lots of photos of the activity for once! It was a great trip. 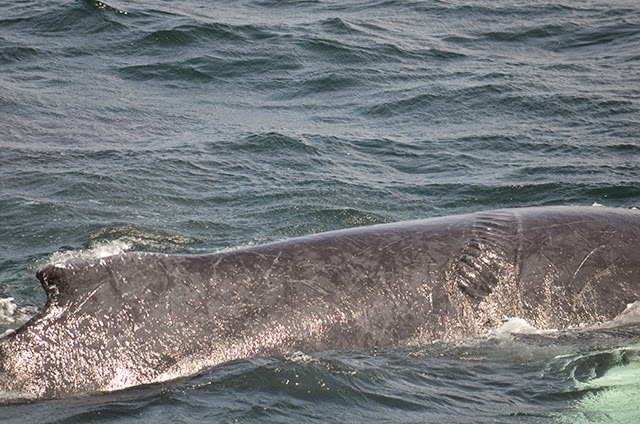 is amazing how fast finwhales can swim! 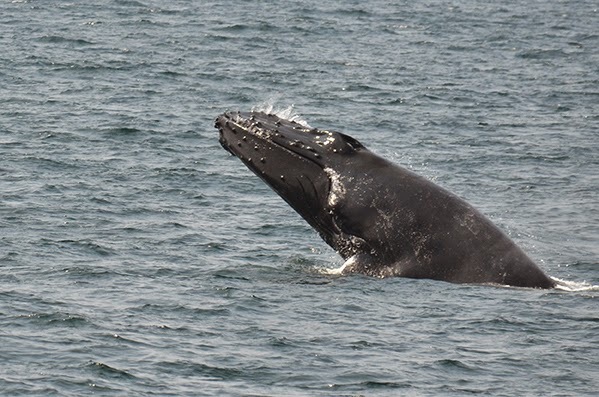 Next, we spotted a lone humpback who turned out to be Aerospace! Everyone got a good chuckle when I announced the name of this individual. 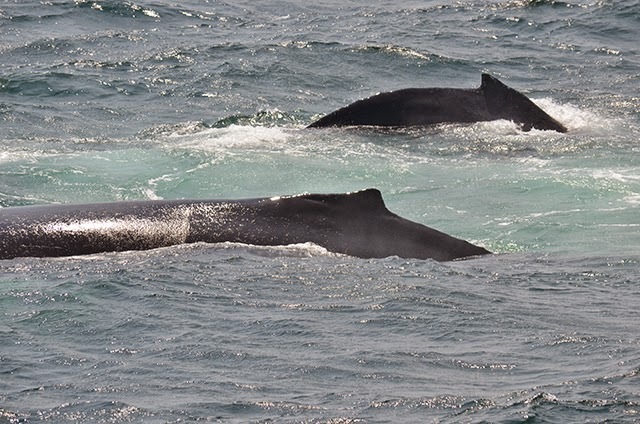 These humpbacks have some pretty creative names. We decided to move ahead to a larger group of possibly 4 or 5 whales that surprised us with some breaching in the distance! 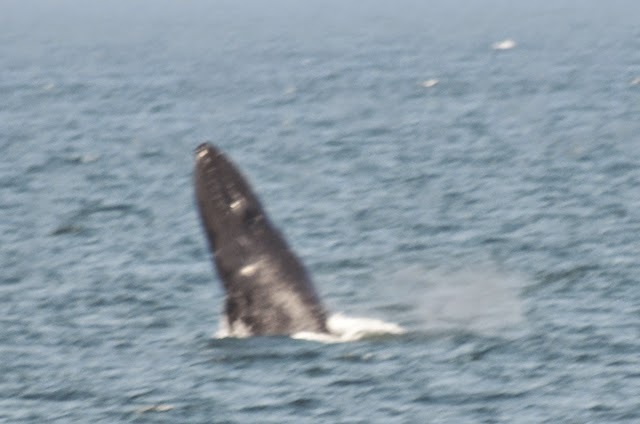 However, we were sidetracked because another individual closer by started to breach as well! The nearby breacher turned out to be Bayou! It’s nice to know that even though Bayou’s fluke is pretty mangled, she still has the ability to breach! 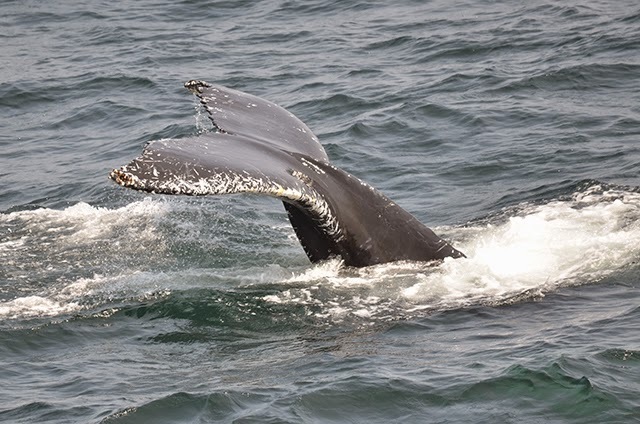 Towards the end of the trip we saw a group of 3 non-fluking humpbacks. We are still working on IDing them based on their dorsal fins and hopefully we will be successful. It was a great day out on the water! A perfect break from the 90 degree humidity in downtown Boston! While the winds picked up this afternoon, today we had a great day out on Stellwagen! We found the whales on the middle of Stellwagen bank, after hearing reports that the group from the north had been starting to head south. 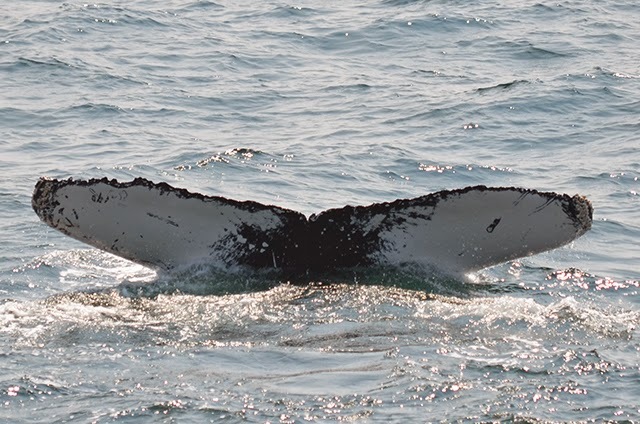 We ended up finding a pair of humpbacks – Hancock and Aerospace, and a fin whale that traveled by (as well as at least two blows of humpbacks in the distance). Hancock and Aerospace put on quite a display of coordinated bubble feeding today! Each time the pair would surface, the two would be swimming in opposite directions, and we’d then get great looks of them filtering at the surface. As we continued to watch, we observed the pair filtering higher and higher! Aerospace in particular filtered very vertically, and we got nice looks at this whale’s ventral grooves. 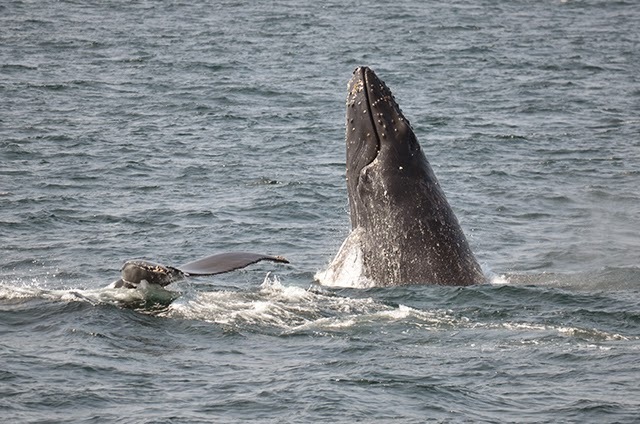 And the end of the trip, Hancock began to do a little bit of lunge feeding as she surfaced, which makes sense as we observed these two feeding on the quick-moving herring. Lastly, today we were reminded of the impacts of boat strike today, as we got looks of Aerospace’s propeller wound. For seabird life, we spotted Wilson’s storm petrels, sooty and cory’s shearwaters, and a few juvenile northern gannets.